One of the important must-dos as we grow older is to build a stable fund that will help us continue living when the time comes that our body isn’t capable of doing our usual work routines. In simple words, this is the concept of the retirement income. But one of the greatest dilemmas that could come across in this path is the thought of outliving your retirement fund. Indeed, running out of money at the time that you’re no longer capable of working is very tragic. It’s indeed frustrating that others would just hope that they could die before facing such problem. Unfortunately, this concern is true to almost all individuals and since this isn’t one of those impossible risks, the life insurance industry has been convinced to create a vehicle that will help people get insured on situations like this. What we’re talking about is the concept of annuities. Annuities, in the insurer’s term, is the reverse form of life insurance. We all know that life insurance pays the insured upon death. And since annuities is the reverse, the insured individual given with annuity, or the annuitants, is given a financial support as long as they’re alive. With that being said, the annuitant agrees to pay a specific value for a given period of time, or until a certain things occur such as death, as agreed by both parties. By looking at the way annuities work, it’s safe to say that these policies are retirement vehicles by nature. There are different types of annuities that you can choose from to avoid superannuation (the risk of outliving one’s income stream). If you have a certain hunch on how long you’ll live, then you can set to receive payments in a fix number of years. But if you’re completely uncertain, which is usually the case, then set it to receive payments for the rest of your life. How much you’ll receive depends on the type you would take. If you plan to apply for a fixed annuity, then you’re going to receive a guaranteed payout. If you choose to apply for a variable annuity, your payout stream will be determined by the performance of your annuity’s underlying investment. There are also two basic types of types of annuity that everyone is much aware of. The deferred and the immediate. When we talk about a deferred annuity, your money is invested for a certain period of time until the conditions of taking withdrawal is satisfied. So this is the typical retirement payouts we usually come across. The other type is the immediate annuity wherein the moment you begin your initial investments is the very moment that you’ll be receiving payment sums. This is particularly true for those who have applied for the policy at the time that they’re already reaching the retirement age. 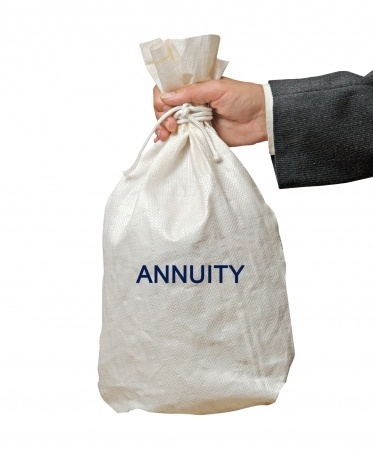 Annuities aren’t immune to tax. During the time of payment, the money you invest grows tax-deferred. This means that the amount you contributed to your annuity fund is not taxed. But when the time comes that you eventually make withdrawals, the earning you are receiving are taxed at your regular income tax rate. The good thing about this plans is that they allow you to safe-lock a larger amount of cash and defer paying taxes (although taxes applies during payouts). It doesn’t limit the amounts you invest for your annuity enabling you to store more money for your retirement and decide to either take a lump sum payment or for most, decide to split the investment into guaranteed payments for a specific length of time or for the rest of your life. If you’re already in times where dilemmas such as superannuation is clear, better decide to apply for an annuity. Secure your future well so that you can live peacefully at all times.